Today’s featured crafter shows off the beads her dreams are made of, literally. I am a stay at home mom of three children ages 7, 4 and 2. I enjoy hiking, travel and photography. 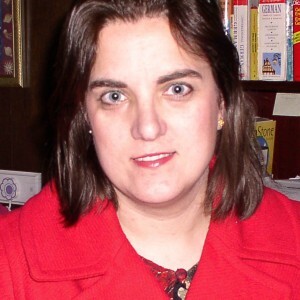 Before being a stay at home mom I worked as a school psychologist. I miss my job but would miss watching my children grow even more so the full time job can wait until the children are in school full time. Children grow so fast that it is important to me that I be there with them. 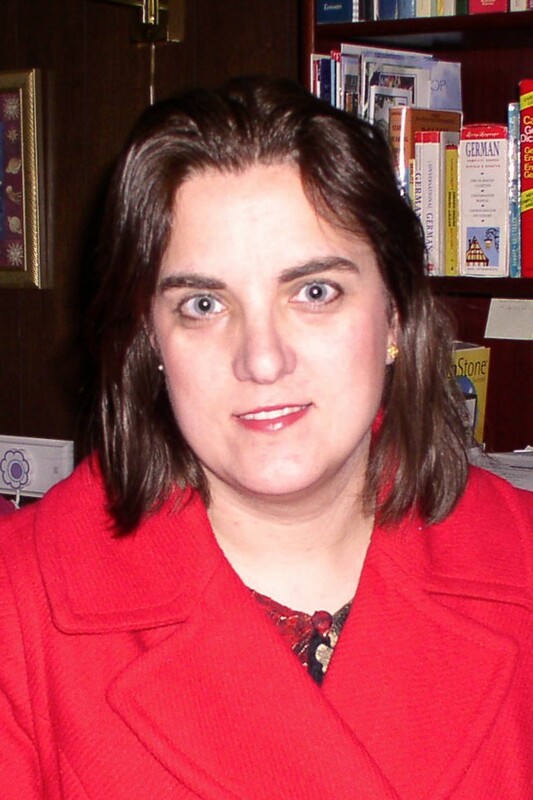 I am an avid reader and especially like reading historical fiction. I have been making jewelry on and off for years, beginning back in high school when I made simple necklaces for myself and family. 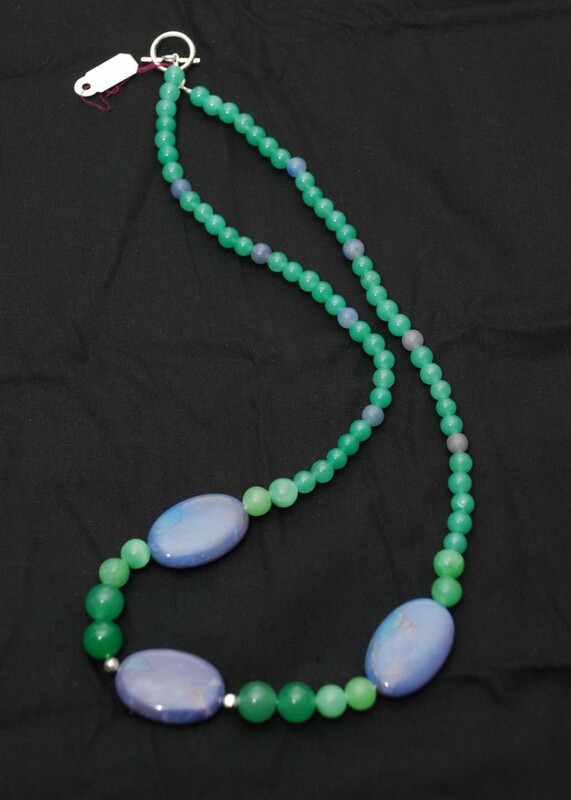 Since my children came along I have found that making jewelry helps give me calm and focus. It acts as a destressor and reenergizes me. The beads are always the source of inspiration. 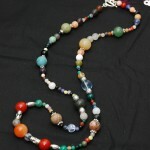 I buy beads that I like in colors or textures that I feel go well together. The design usually begins to form in my head while choosing beads but at other times I will find myself waking up in the morning with a design for a new piece already in my head. It will haunt me all day unless I take time to sit down and make it. 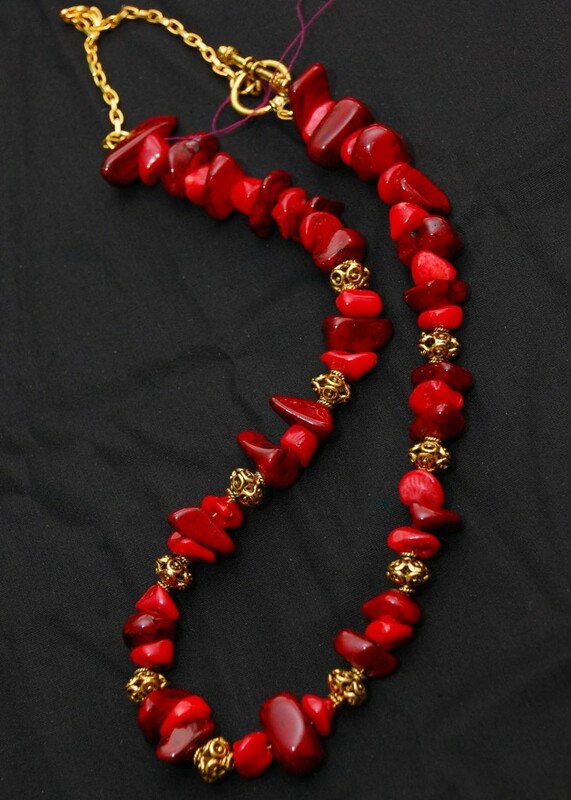 My favorite piece that I recently made is a necklace made of coral and dyed jade with brass spacer beads. It is candy apple red and certainly catches the eye. It dresses up even casual clothing and gives a feeling of sophistication. I love the color red which to me portays confidence. It is eye catching and draws attention to itself. 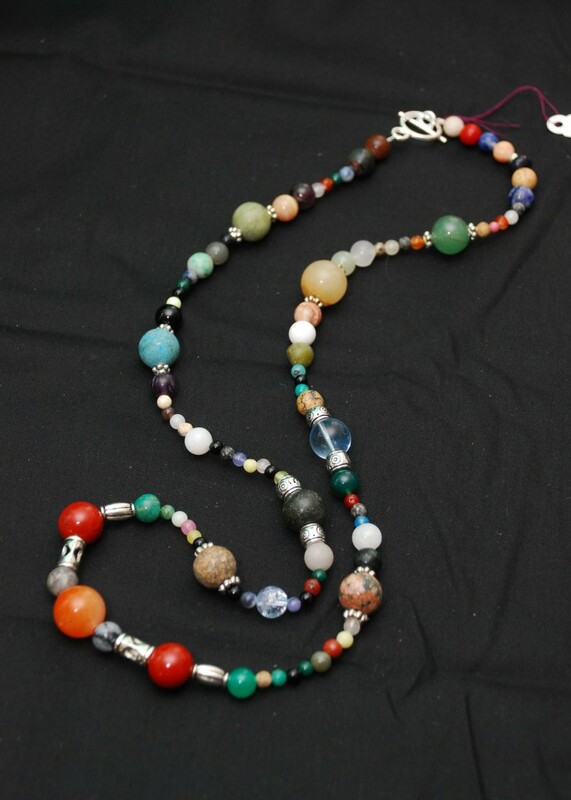 I was looking for ideas for a necklace that could do the same thing and knew I had found it when I came accross the candy apple red coral beads and the darker red of the dyed jade. 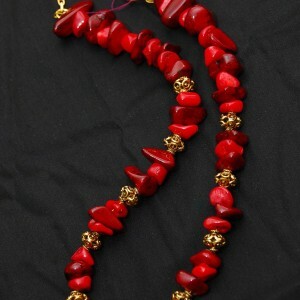 I didn't want just a plain red necklace so I searched for an additional bead to offset the red. The textured large brass spacer beads were just the thing I needed. 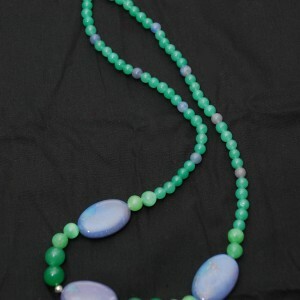 I had extra beads after the necklace was completed and made bracelet to go with it as well. Handmade products are usually better quality than items mass-produced. A lot of time and effort goes into each item and a crafter that takes pride in their work will make sure that the quality is good and will stand by their handmade items.